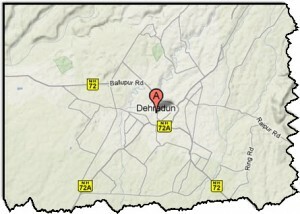 Want to travel at various places in Dehradun? Find all the locations and directions to move along with the maps. These provide you all the information for the travel indications to various destinations without one getting confused. Find the traveling directions in the Google road map below. Do calculate the time to travel through the road map so as to reach the destinations on time. One can scroll and enlarge the same to make things more clear. View the satellite map of the city to see how it looks like to view valley through far distance from the space. This gives a wonderful image of the Dehradun city. 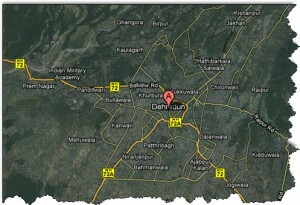 Enjoy the 3d imagery of the city through the Google Earth Map which makes you view Dehradun in all dimentions! View the map to look into the type of terrain it has and its geographical importance.